Big claws grab hundreds of garbage bags to be burnt. 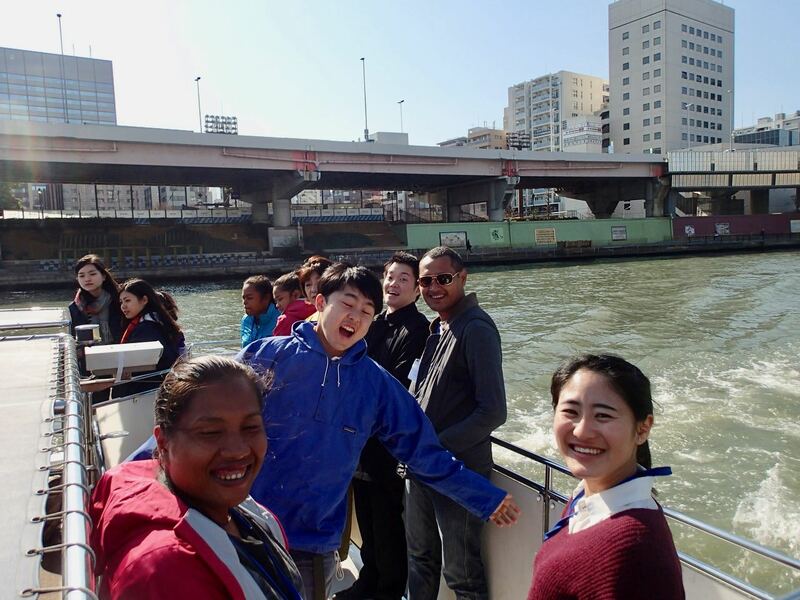 Boat ride from Asakusa to Tokyo Bay. Today was one of the busiest day. And the weather was totally different from that of yesterday: it was cold and windy. We gathered at 7 in the morning!! (crazy….so early!!) We got on a bus and went to Tsukizi Fish Market. At the market, Mr.Hirako showed us some restaurants which he recommended to have breakfast. 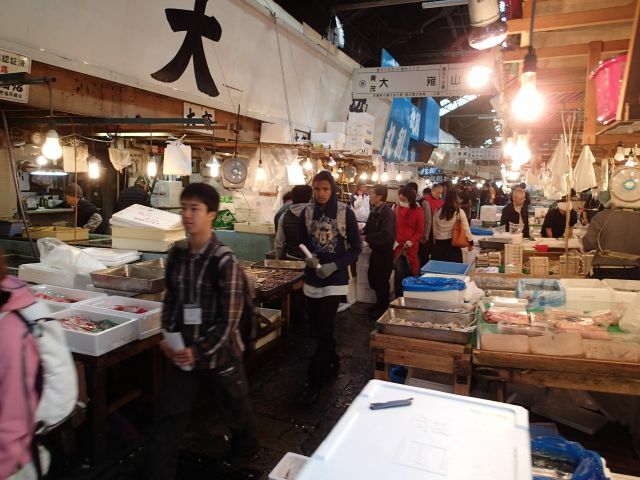 After we had breakfast, Mr.Niimi from Daito Gyorui company took us to see through the fish market. There were plenty of fish with different types, colors and shapes. Many of those fish seemed familiar to Yapish students. 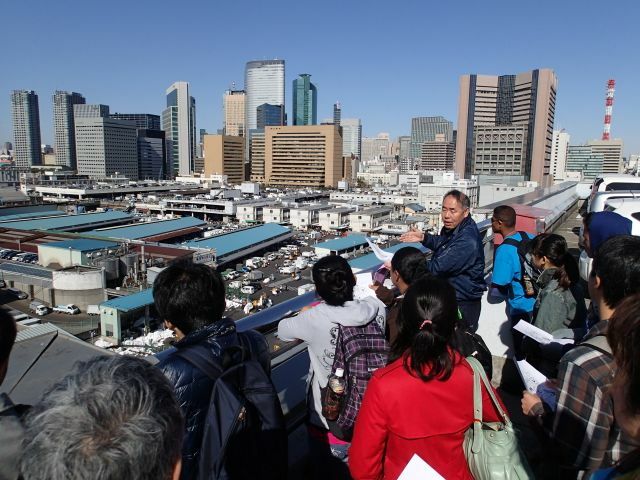 And then Mr.Niimi gave us a lecture and showed us a video about how the fish market is working now and its history. For me this was also the first time to see around Tsukizi fish market, so it was amazing and I learned about a lot of things. 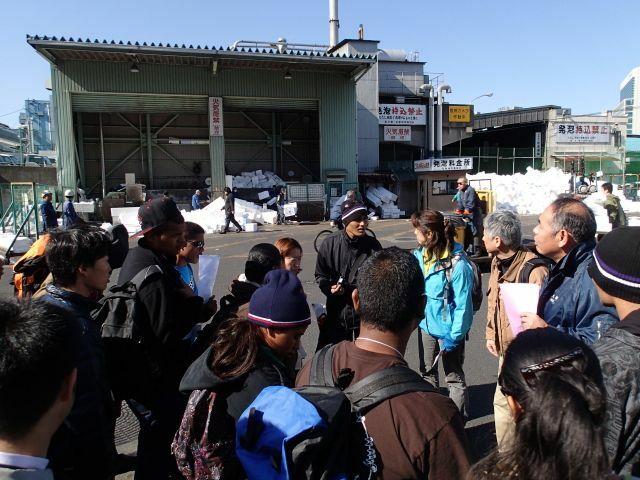 Next we went to the “Chuohu Bohatei,” it is the dumping site of garbage from all over Tokyo 23 wards. It was huge area. 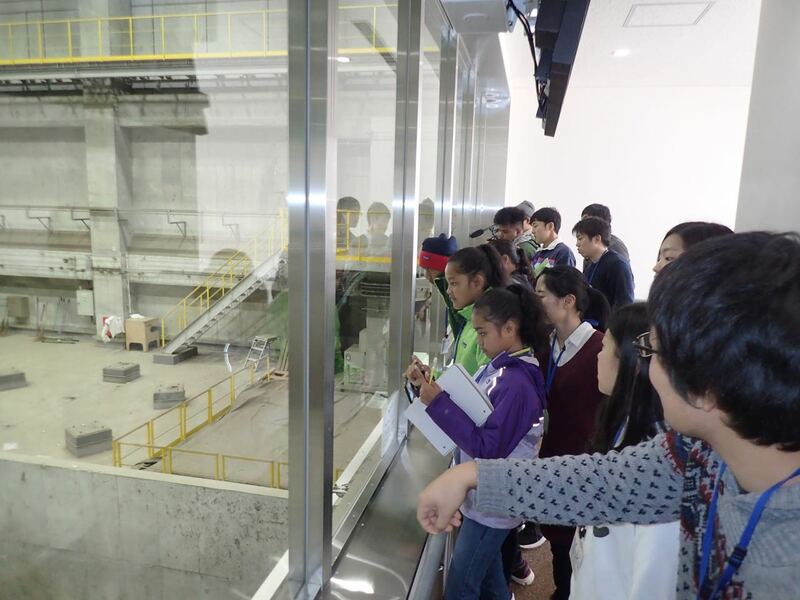 Even Japanese, we rarely see inside the dumping site, so there were a lot of things which I knew for the first time . Then, we tested water visibility in two spots in order to compare with that in Yap. 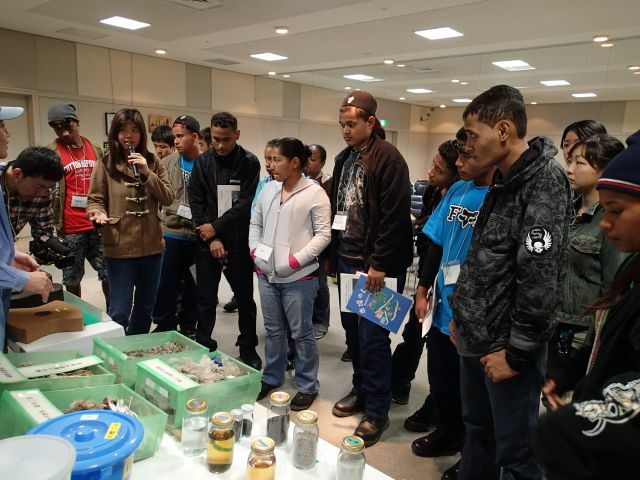 At a river management center and we were welcomed by a lot of officers and through the lectures here we learned that water and waste are really connected issues. In late evening we took “UDON,” or Japanese noodles and had reflection session at the youth hostel exchanging opinions over trash and water issues. At the end, I really appreciate my friend, Xinle, for her hard work for the translation in such busy schedule. 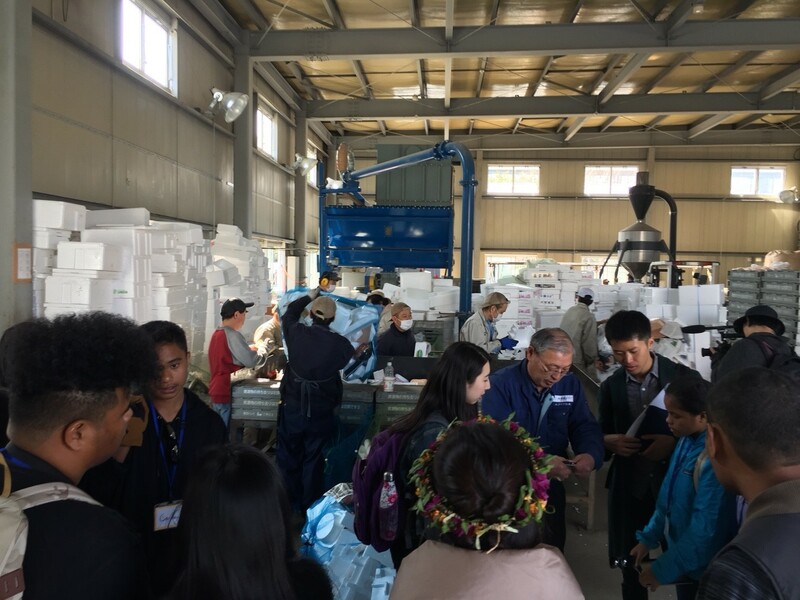 The world largest fish market, TSUKIJI, the students from Yap visited this morning and walk around the area observing huge tunas and other fishes from the world. The small aisles run like the shape of a huge fun. Shoppers and workers were quite busy in the morning hours. 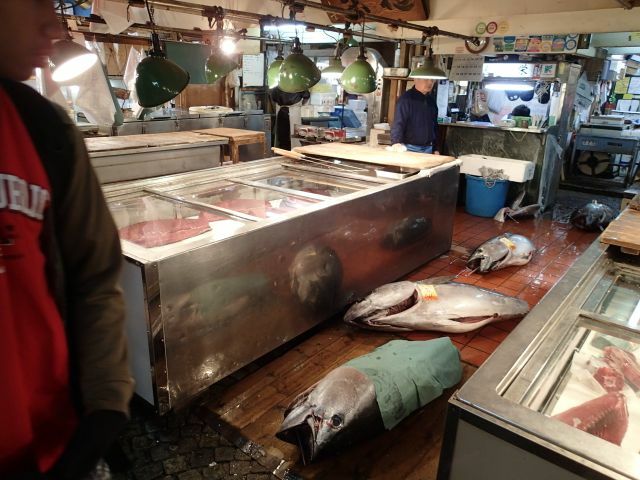 Some tunas are from Japan ocean and some are from far away. 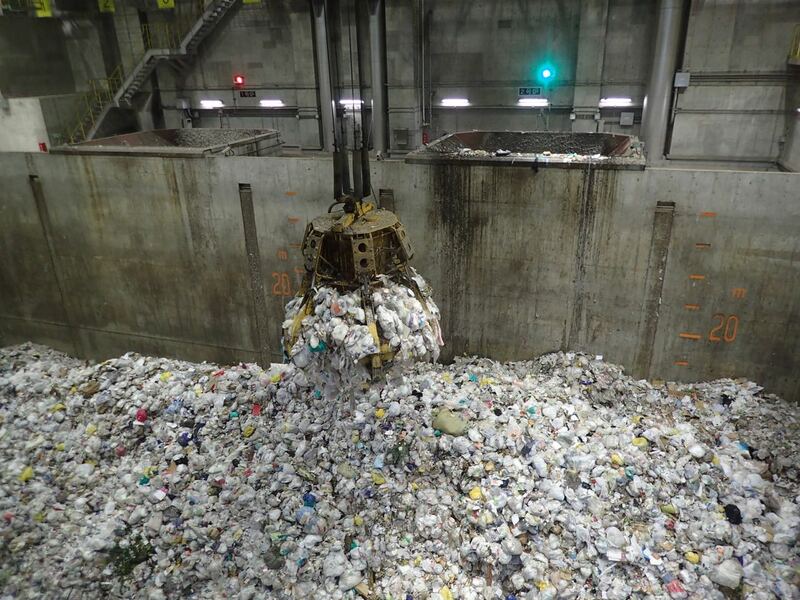 The recycling facility for styrofoam boxes was also in the most busiest situation. 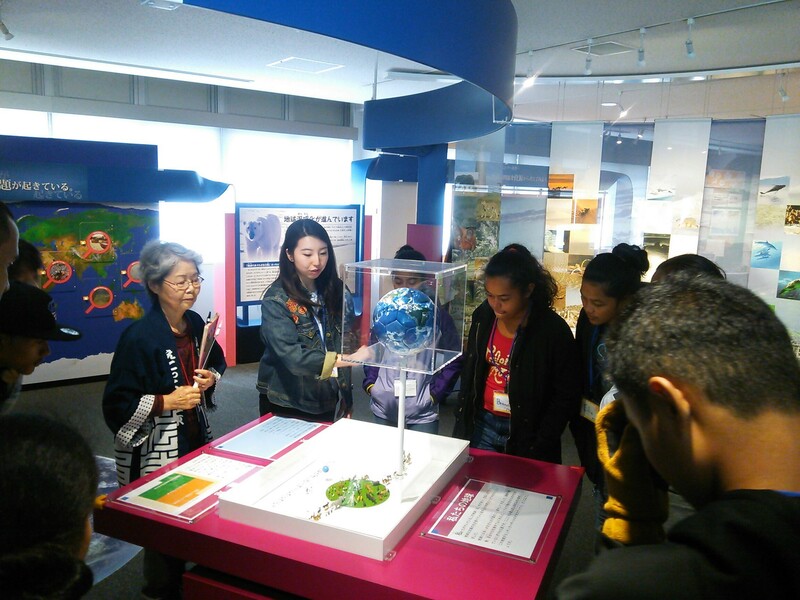 Then, we visited the huge dumping site in the Tokyo bay which has more than 500 ha reclaimed land fill area.